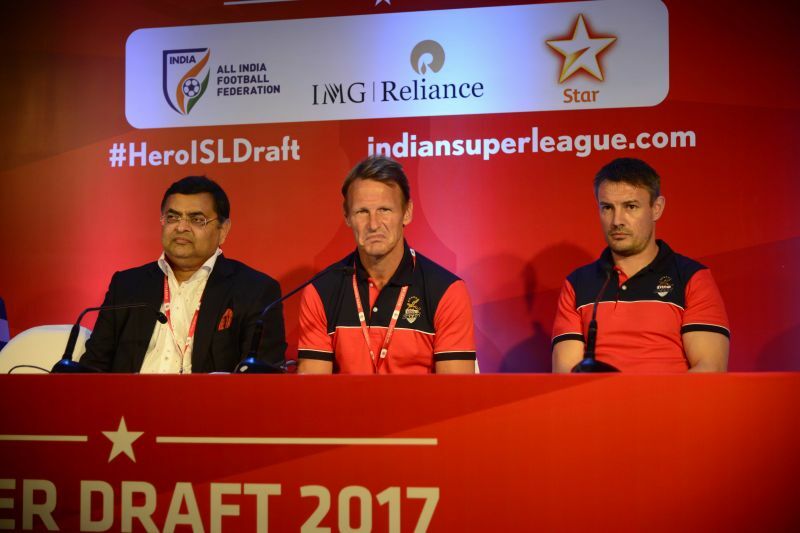 The official ISL draft of this year that held yesterday in Mumbai, saw 205 Indian footballers finding their havens. 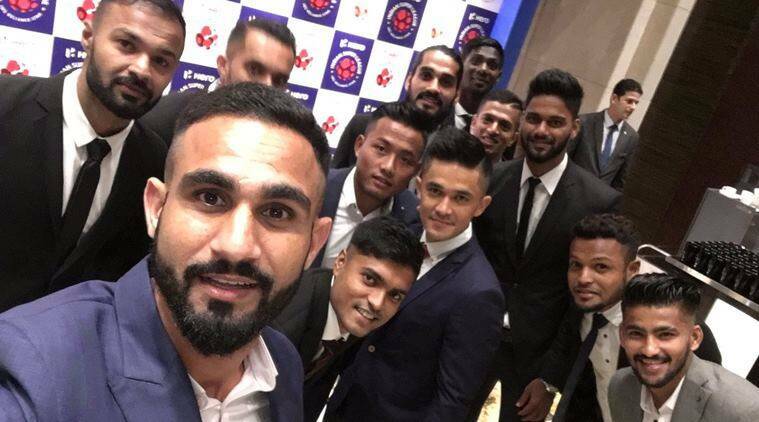 At the end of the event, all the players except 14 were picked up by the 10 franchises, out of which some of them shone bright, while others managed to take home heavy paycheques. The 30-year-old defender had the highest base price this year besides Eugeneson Lyngdoh. After four years with the I-League side Pune FC (where he also captained for two years) and two years with Delhi Dynamos, the centre-back was the first player to be bought by the debutants Jamshedpur FC in today’s draft. Surely the dependable choice for the team, he is expected to continue his impressive defending in the upcoming season. Sharing the highest base price with Anas Edathodika was the former Bengaluru FC star who is clearly one of the best Indian midfielder today. ATK have bought the AIFF Player of the Year 2015 as their first bid and were in absolutely no mood to share him with another club. Lyngdoh played for Pune City in the two previous ISL seasons and he is undoubtedly going to be a major gamechanger for the ATK banner this year. The 30-year-old “The Indian Spiderman” is the most experienced player in this league, been serving the national side for 10 years. He has been impeccably effective so far for each and every side he’s played for. Paul has even won the Arjuna Award last year that makes him a player from another league. He joined the NorthEast United’s brigade last season and this side the debutants Jamshedpur have managed to get hold of him inn a heavy price tag. The Mohun Bagan defender played for ATK on loan in last year’s ISL. He has been successful with the Mariners, winning the I-League and the Federation Cup. Pritam has also been a consistent face in the Indian national team that made him a challenger for a big payslab. He was part of the side that won the SAFF Championship back in 2015 and one of Stephan Constantine’s most trusted men. Delhi Dynamos signing him out of all the big names is surely a plus for the only north Indian club. Pritam Kotal is an absolute bargain buy. The 27-year-old has proven himself as an efficient striker over the years and this time he returns to Bengal, but to don the ATK’s army. The Tata Football Academy product has played for East Bengal from 2010 to 2013 and scored 13 times. Robin has been a familiar face in the national side and is one of the most regular names. His goalscoring skills are unmatched and that’s something Teddy and Ashley were particularly looking for. The Punjab posterboy has won a plethora of trophies in his 10-year long career, including two I-League and two Federation Cups. He has played for Mohun Bagan for three seasons consecutively scoring 16 goals in 55 appearances. He debuted in ISL under Chennaiyin, playing for two seasons. Well, Balwant has still got in him and that’s what the Mumbai thinktanks believed in and so he becomes a Mumbai City FC player. Another goalkeeper to make this list after Subrata is Arindam. The 28-year-old has been a consistent face in the Indian football sphere. He played for FC Pune City in his debut ISL season and impressed everyone. Mumbai City’s belief in Arindam is largely because of his over the top performances and experience. He’ll certainly enhance the already strong looking Mumbai side. The 29-year-old right back has two I-League trophies with Bengaluru FC and an ISL title with ATK in the inaugural edition, before making a move to the Blasters. Having played with the club before, Rino will be a valuable asset for Kerala and help the team move forward with his skills, fierce movements and speed. The 30-year-old midfielder played for Bengaluru FC in last I-League season and now will play for Bengaluru in there maiden ISL campaign. Bengaluru is the other debutant team in 2017 edition of ISL and had already retained their star player Sunil Chhetri before. The team has shown enough intent and are looking to go for a kill, much like their I-League campaign where they clinched the title twice in three years. These two young players were among the bids made by FC Goa. Das played for FC Pune City last year, while Halder played for Mumbai City FC. Both of them are Tata Football Academy products and regular national team players. This makes Goa interested in the duo, besides their skills to outplay any opponent with their games.